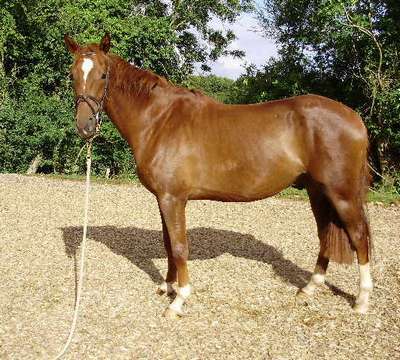 An exceptionally gentle colt with more bone and substance than is usually found in a Teke part-bred. 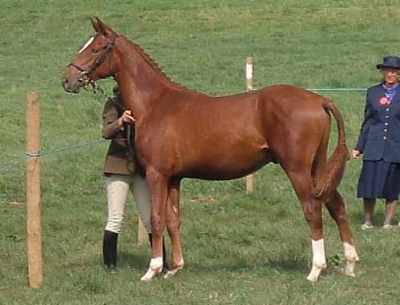 His sire DIAMOND DANCER (www.woolaston.co.uk) is a thoroughbred international event horse. 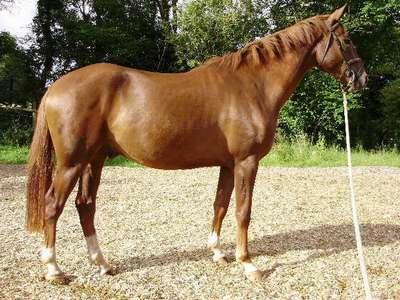 His dam AINUR is the first foal in the UK of ATAMEKAN (Grade I racehorse and marathon endurance horse). 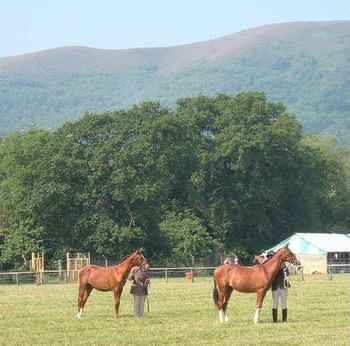 Mac had a number of outings shown in hand by Lizzie when they were 1 and 14 respectively, and has brought back rosettes from the Three Counties Show, Monmouthshire Show and elsewhere. Proper work will wait until next year, as although now three he is still very immature. 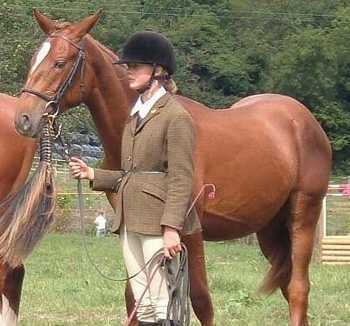 But he is at last beginning to grow into his very big frame, and is learning to lunge and go quietly under saddle. Lizzie is also doing some basic Parelli training with him. Already well acquainted, they are forming a real bond.